9 out of 10 Americans will experience a headache in their lifetime. Many get at least one headache a month or they come in clusters for a while and then seem to improve. People think it is normal to get an occasional headache, but it is not. In fact, headaches are a very common disorder of the nervous system and affect over 40% of adults each year. Headaches are often underestimated, under-recognized, and under-treated by medical doctors. There are several studies that prove chiropractic care helps those who experience headaches. Research shows that chiropractic care helps those with episodic or chronic migraine headaches, tension-type headaches, cervicogenic headaches (those caused by neck problems), and all other types of headaches. In patients suffering from athletic injuries, particularly post-concussion headache, chiropractic care can play a very important role in the patient’s recovery. Several published case studies report significant benefits for post-concussion patients after receiving chiropractic care. These include those from motor vehicle accidents, as well as from slips and falls. Dizziness, vertigo, and numbness are common residuals from these types of headaches. Medical doctors often prescribe medication for headaches. There are side effects from all medications, including both prescription medication and over the counter medications. The most commonly prescribed medication for headaches are non-steroidal anti-inflammatory drugs (NSAIDs). Over the counter medications include ibuprofen (Advil), naproxen (Aleve) and acetaminophen (Tylenol), Acetaminophen is especially hard on the liver and kidneys. Several studies have identified and proven that chiropractic adjustments are very effective for headaches. 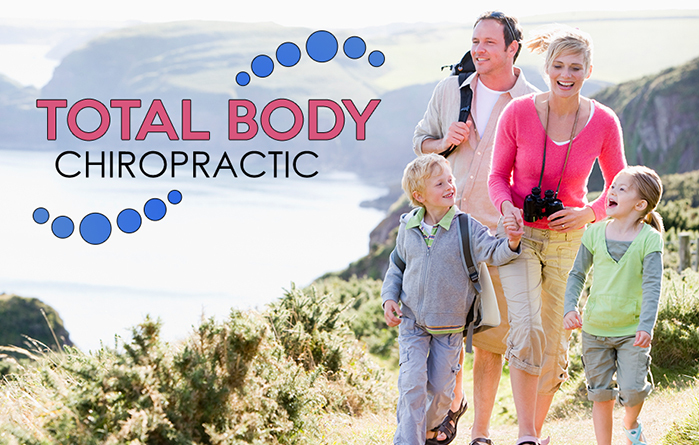 So if you suffer from headaches from time to time, come in to see us at Total Body Chiropractic. We will provide you with a thorough history and a comprehensive chiropractic examination with an emphasis of evaluating the neck and its function. The type of care we provide will be based on your history, the exam findings, and x-rays we take. So, the next time you find yourself reaching for a pill because of a headache, remember that there are better options. Give chiropractic a try and actually address and fix the problem. You’ll be extremely happy that you did.